HOLIDAYMAKERS can pay for the cost of a break in the sun by buying their prescription drugs while abroad. Legally they can purchase their prescribed drugs -- at a fraction of the cost here over the counter -- in Malaga, Marbella , Faro or Lisbon. Those on long term medication and covered by the Drug Payment Scheme, who cough up €132 a month, can particularly benefit. For example, a patient on holiday in Marbella recently bought the three main elements of her prescription. Prescribed for the treatment of high blood pressure, high cholesterol and to reduce risk of cardiovascular problems they cost her almost four times as much in Dublin as in Spain. The products -- Lipitor, Cozaar Comp and Tritace -- in their generic form came to €108.13 in Dublin for a month's supply. 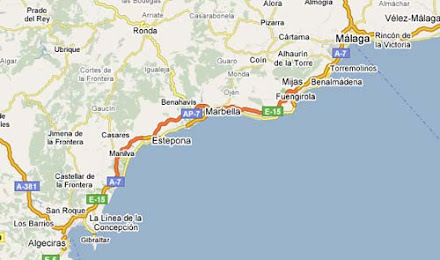 In Marbella the same medicines are sold under a different name for €63.72 for two months' supply. That is a saving of €152.54 for two months. On that basis a six month prescription for the three tablets would cost €648.78 in Dublin as against €191.16 in Spain -- a staggering saving of €457.62. The Irish Medicines Board and the Revenue Commissioners both confirmed that medication, prescription and non prescription, bought for personal use within the EU or outside may be brought back in to the State legally. imported They agreed that travellers are permitted to import on their person or in their baggage "a reasonable amount of such medicines for personal use". "Anyone entering the State may bring their personal medication with them and that personal medication should be no more than any amount that may be obtained on a prescription, for example up to a three months supply. "Any amount being imported above a level that would be considered to be normal personal use, could be considered to be a commercial quantity and for business purposes." This "personal use" exemption does not apply to products imported by other means, ie. in the post, by express couriers or in merchandise. Revenue said that the law of the country where you are visiting will dictate whether your Irish prescription will be accepted or whether you will require a doctor's prescription from that country. They advised it is always a good idea to have a copy of your prescription in your possession so that customs officers can verify it by contacting the dispensing pharmacy and the doctor who issued it.